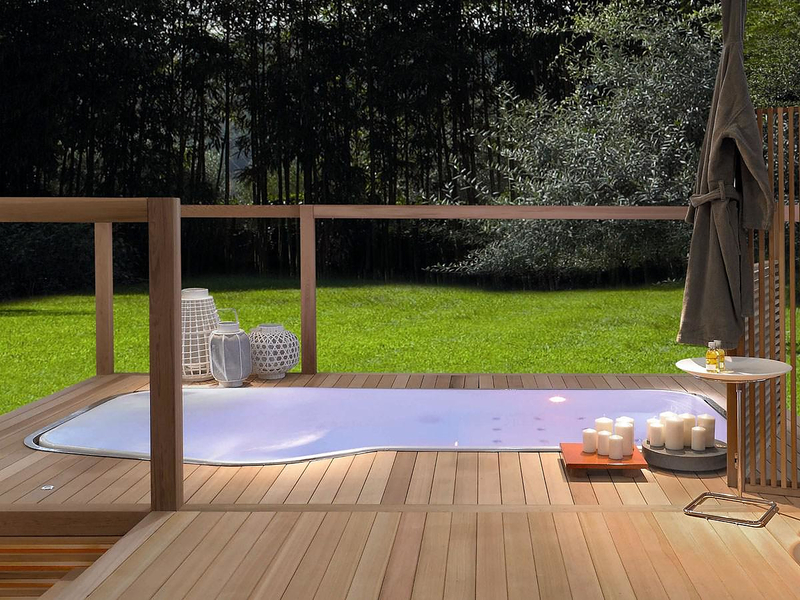 HomeBlogHome DecorFaraway mini-pool by Ludovica & Roberto Palomba for Zucchetti KOS. 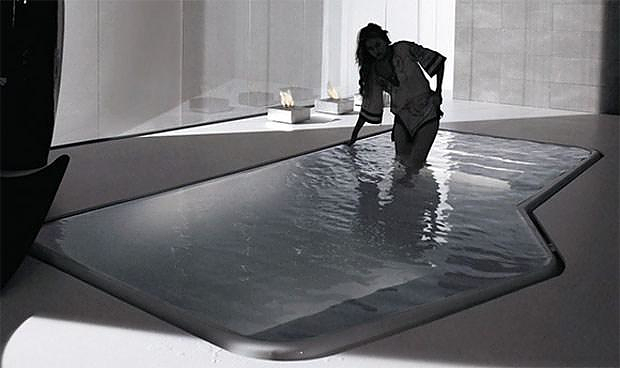 The Faraway mini-pool was designed by Ludovica & Roberto Palomba for Italian brand ZUCCHETTI KOS. 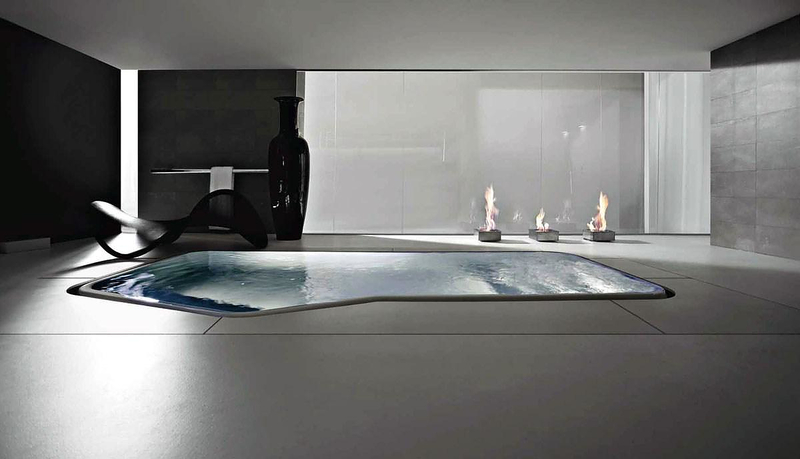 This incredible mini-pool is taking the Faraway bathroom range to a whole new level with its sleek geometric design and its rich list of features and functions. 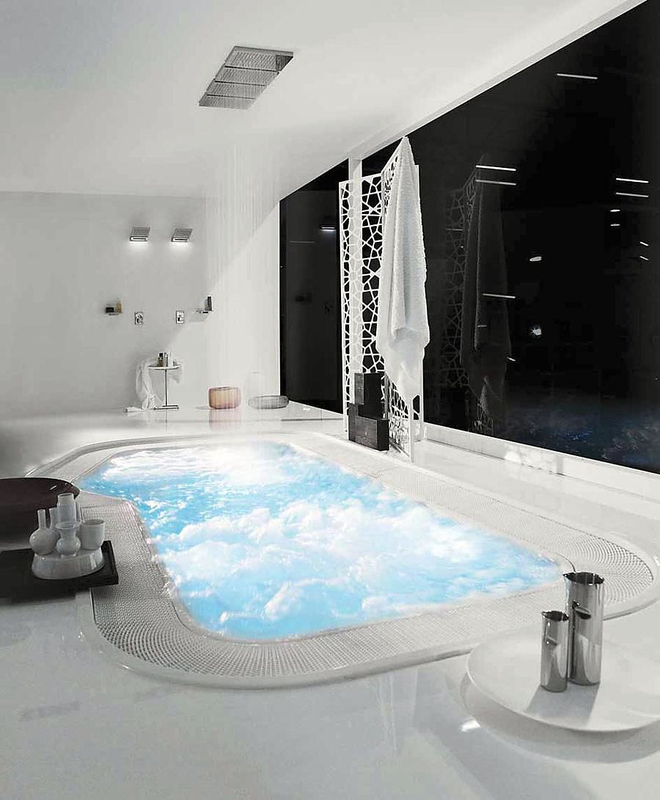 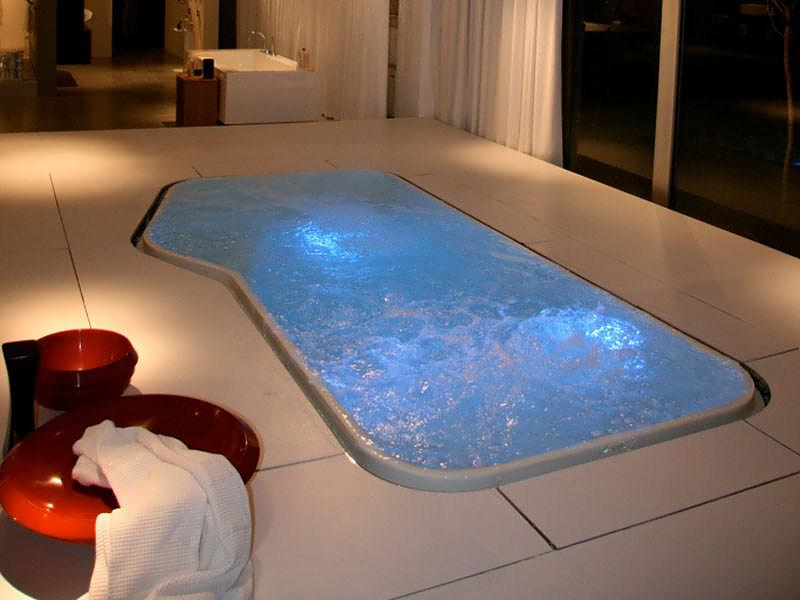 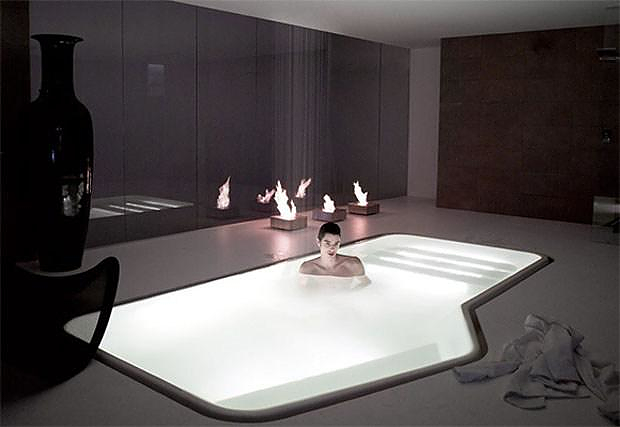 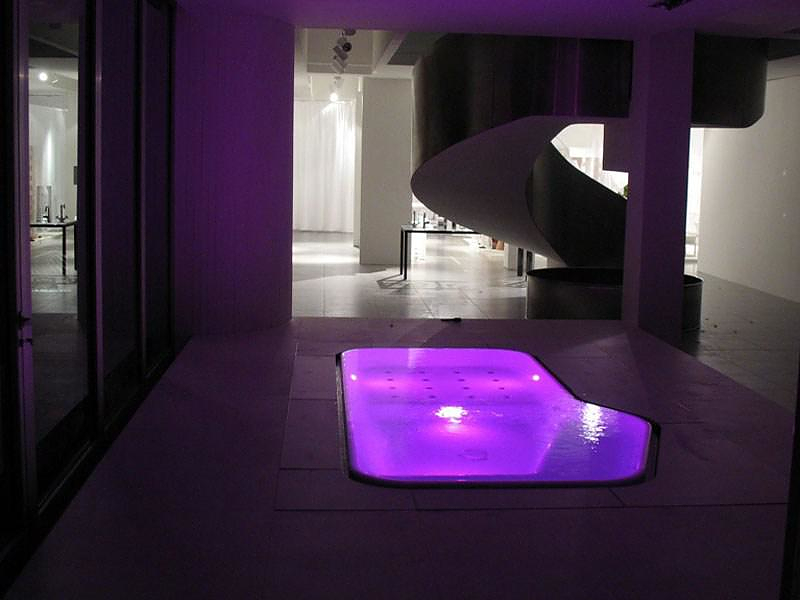 A sunken pool, level with the floor, the Faraway Pool is a concept spa piece. 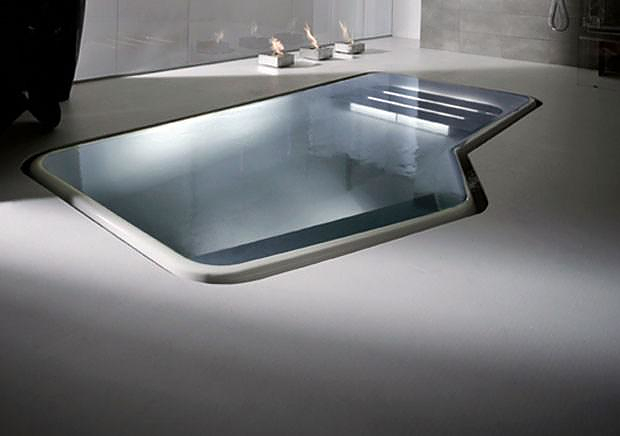 As you descend the steps into the pool you’ll feel the tension wash out of your body, while gentle ripples are created in the water surface by a blower, cleverly placed under the steps. 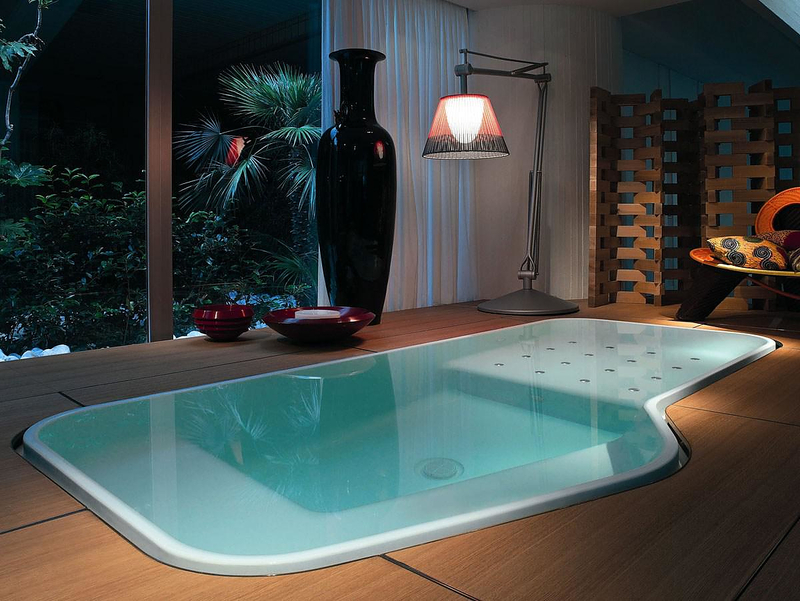 The Faraway Mini-Pool is completely integrates functionality and aesthetics. 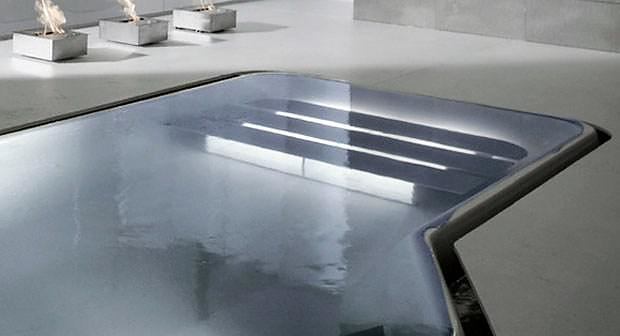 Exquisitely functional accessories are transformed into geometric details of great beauty. 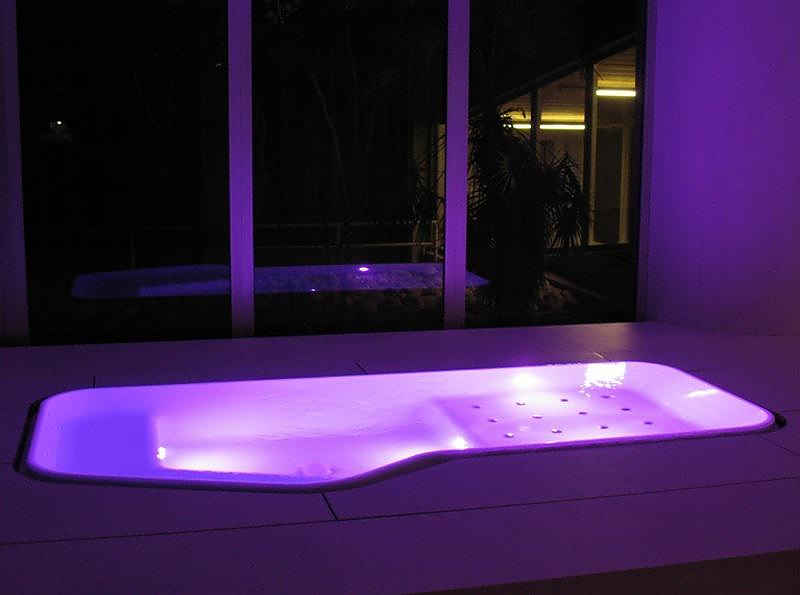 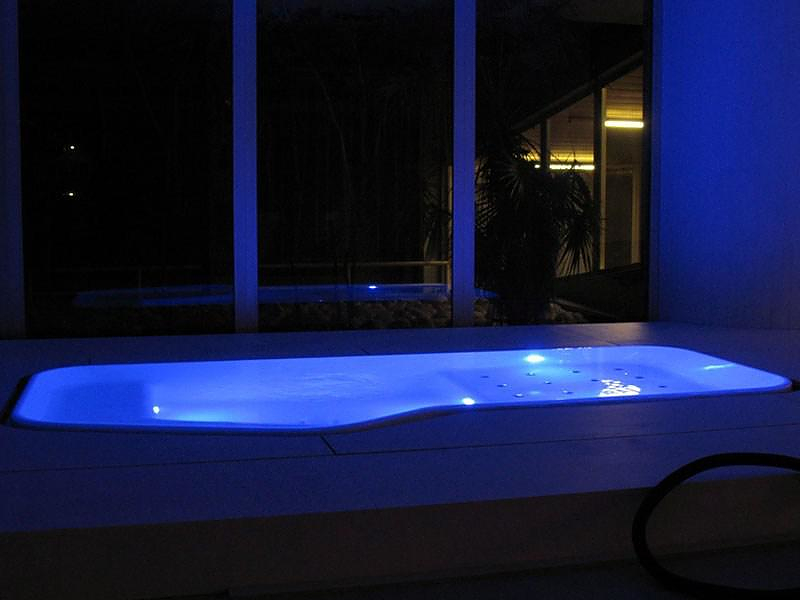 The Faraway mini-pool is equipped with a water massage system, an atmospheric lighting system and the clever blower mechanism that creates gentle ripples in the water surface simulating natural relaxing waves. 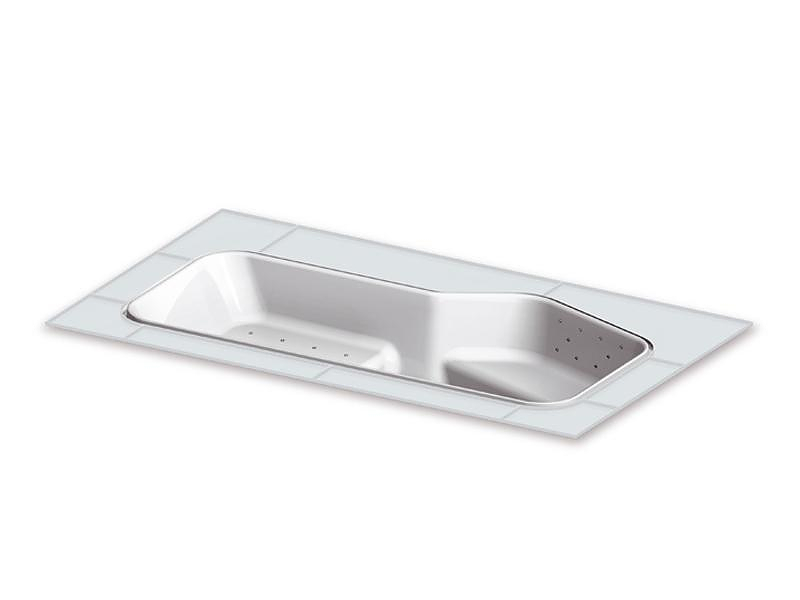 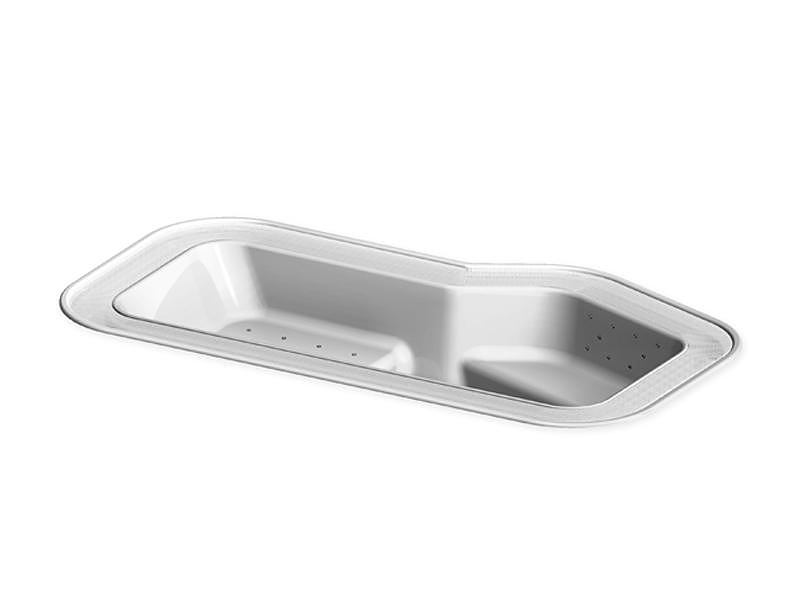 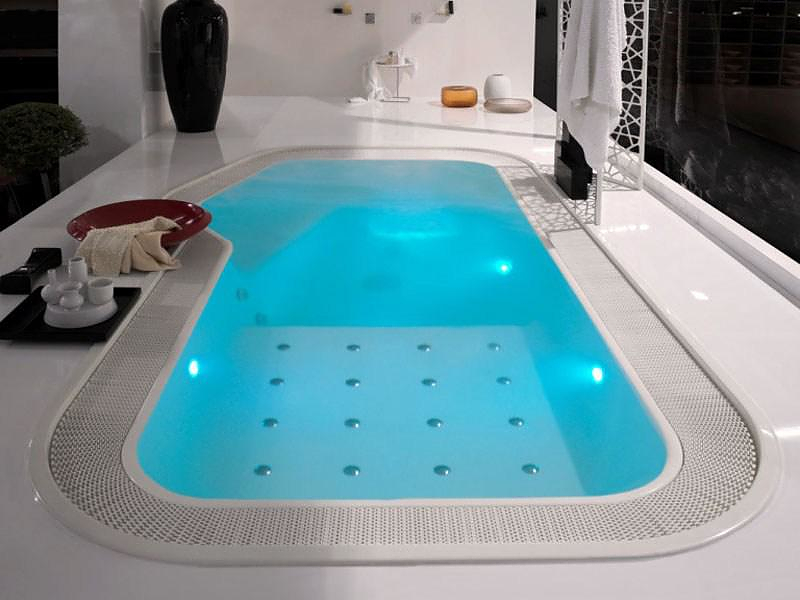 The floor-level overspill doubles the perimeter line of the tub and the fan generates a ripple that runs all the way across the water for the whole length of the tub: a unique form of wellness for indoor or outdoor living. 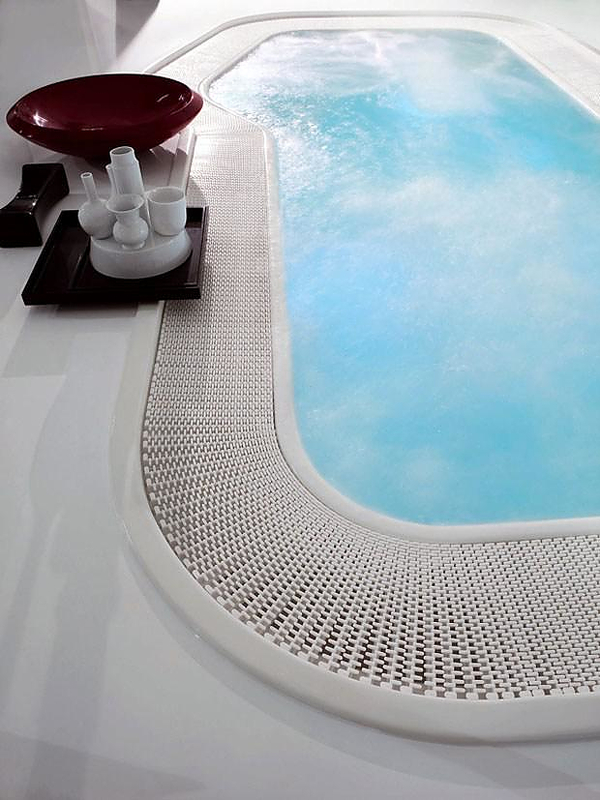 Faraway/ Pool offers a unique wellness, even outdoor. 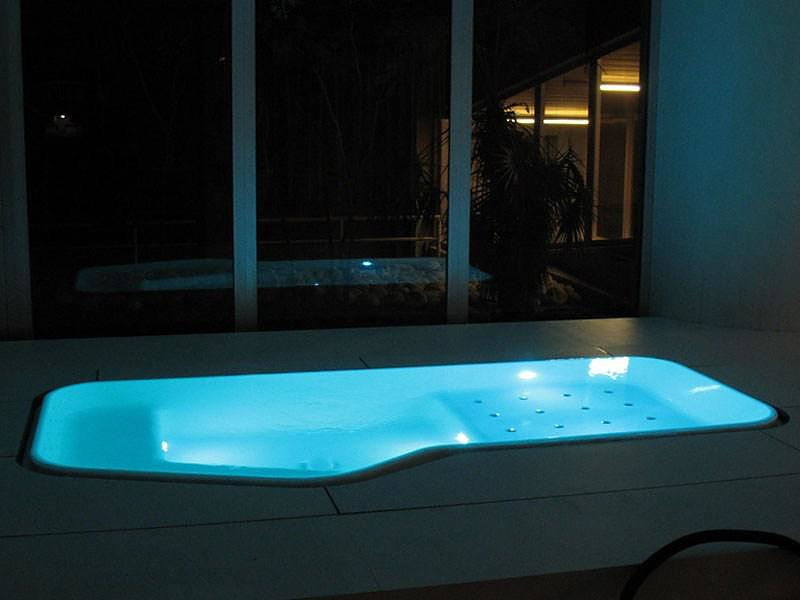 Thanks to its dimensions (1 meter depth, 2,6 meter width, 4,56 meters length) it is the ideal solution both for private or contract use.